Matt Martin wants to be Vinny Chase. Still, if he had to pick between being Vinny, E, Ari, Turtle or Drama, he’s going with the leading man. Martin may not live in the Hollywood Hills, but he still leads a pretty charmed life. The Islanders forward was at the Belmont Stakes when American Pharaoh won the Triple Crown, took in a Miguel Cotto fight at Barclays Center and travelled to four weddings, including his brother’s and Josh Bailey’s. Martin’s charisma and outgoing personality seem to lead him to glamorous events, but the NHL’s reigning hits leader – four years running – gives back as much as he gets, continuing the Islanders’ tradition of giving back to the community. He recently wrapped up the inaugural Matt Martin Hockey Academy, which had 88 kids, and is hosting a charity poker tournament on Sept. 10 benefitting his Foundation. Several of his teammates – including Johnny Boychuk, Casey Cizikas, Nick Leddy and Thomas Hickey – will be joining him around the table. It’s not unusual to see Martin interact with the community like this. He has his charitable programs benefitting the Wounded Warrior Project, as well as his initiative to fight Cystic Fibrosis with Cizikas. He makes Long Island his home year-round and always reiterates how helping people and putting a smile on kids’ faces is important to him. What is unusual is to see Martin get tired, but anyone whose tried taking care of a full hockey camp and a new puppy would feel the same way. Patience seems to be easier when it comes to raising a pup than summer training. It’s been four full months and Martin is getting restless. 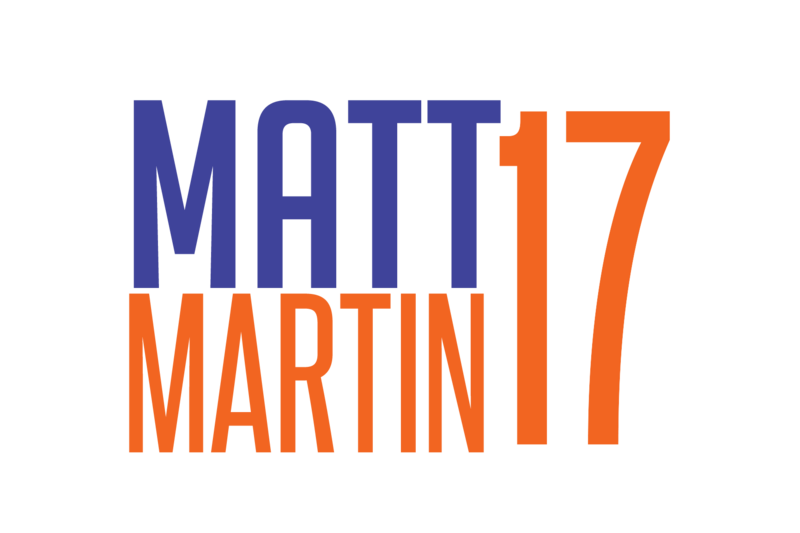 The Matt Martin Hockey Academy season is fun, but he’s looking ahead to the NHL season on the horizon. Martin’s outlook on the team is positive, with everyone returning one year older and even hungrier after last year’s regular-season success and playoff disappointment. Training camp starts is less than two weeks.